East Hampton Bait & Tackle Co.
Holler and Dash has introduced a healthy new brunch dish for fall. 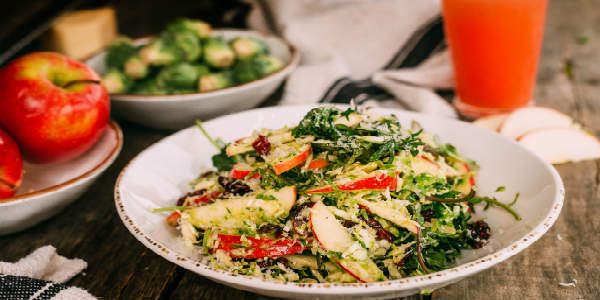 The “Everyday I’m Brusselin’ Bowl” (pictured above) features shaved brussels sprouts, sun dried cranberries, apples, pecorino cheese, and lemon dijon vinaigrette. It’s available at all seven locations in the Southeast, including Holler and Dash Celebration.